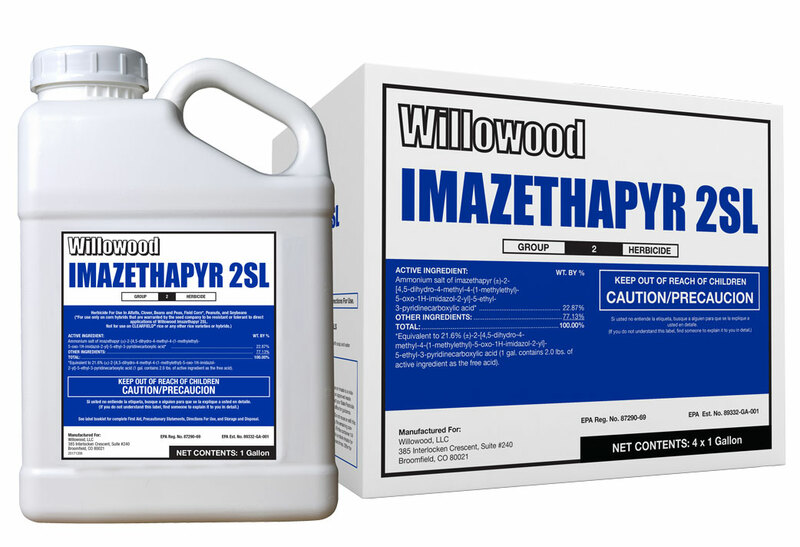 Willowood Imazethapyr 2SL is a contact post-emergence herbicide for the control of certain broadleaf weeds and yellow nutsedge in beans, peas, corn, peanuts, rice, sorghum, potatoes and other select registered crops. For specific use instructions refer to Willowood Imazethapyr 2SL product label. *Equivalent to 21.6% (±)-2-[4,5-dihydro-4-methyl-4-(1-methylethyl)-5-oxo-1H-imidazol- 2-yl]-5-ethyl-3-pyridinecarboxylic acid (1 gal. contains 2.0 lbs. of active ingredient as the free acid). 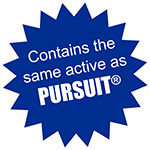 PURSUIT® is a registered trademark of BASF.